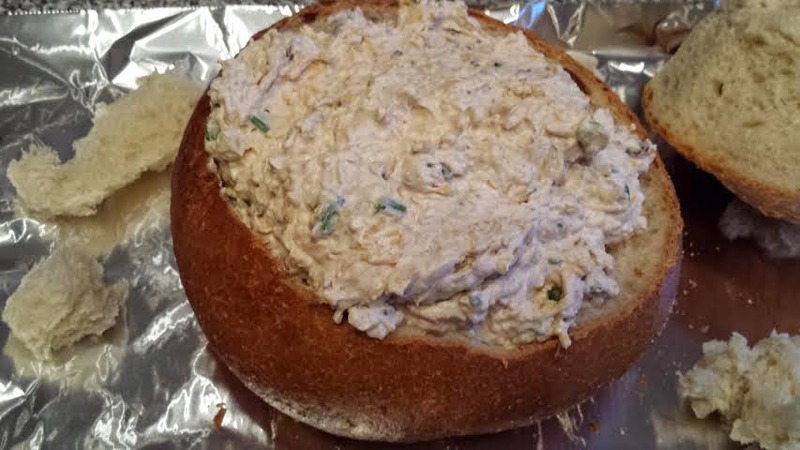 Another one of my holiday get together appetizers I served when we had a gift exchange with our friends was this delicious cheesy bacon bread bowl with torn bread pieces and crackers for dipping super good! Now this is our best friend couple we had this evening with but let me tell you it is a bit tricky catering to their diets! And he recently became gluten free. 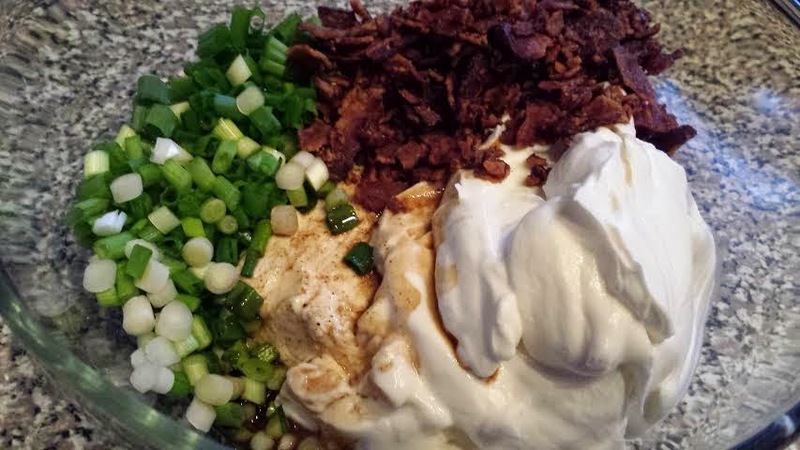 So he did not eat this and she ate it because there was little bits of bacon oh and she doesn't like cream cheese but she liked this! HAHA! They kill me! 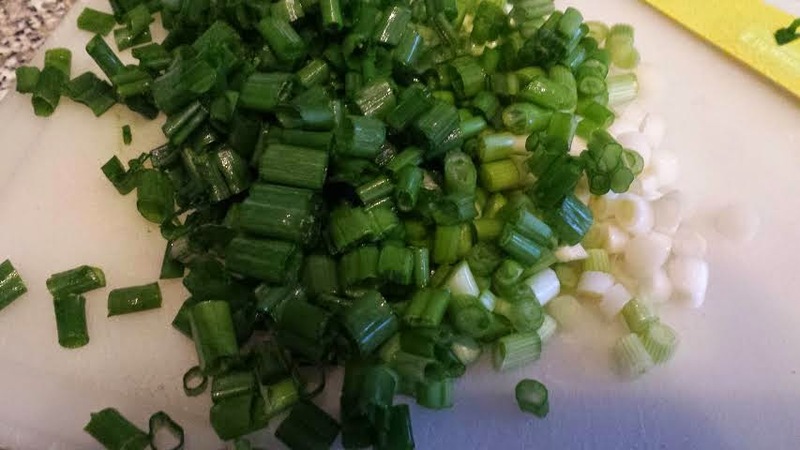 Mix together cream cheese, sour cream, shredded cheese, green onions, wishishere sauce and pepper, mix that up well. Save the center of the bread! 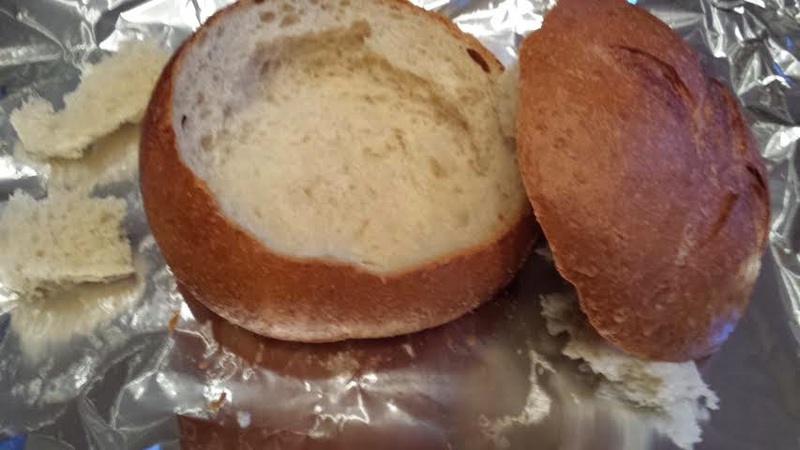 In the mean time rip apart the bread from the center of the bread bowl and serve that along with crackers when you dip is finished.